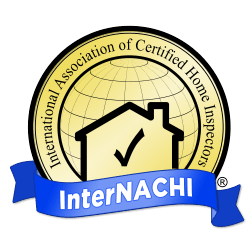 When doing a home inspection of a home that is on or near a lake such as Indian Lake in Russells Point, Belle Center, Lakeview, or London Ohio or any other body of water there are certain aspects that need to be taken in to account by the home inspector. A lake area like around Indian Lake is very flat. Home inspections Buckeye Lake is also a flat area. Not many hills in the area to drain away rain and melting snow. Dampness is a primary conducive condition for wood destroying insects such as termites, powder post beetles and carpenter ants. Because of this, the amount on moisture in a home and under a home is very important. Because soil positioned near bodies of water do not ever really dry out this moisture makes lake homes have a higher chance of having wood destroying insects and or mold issues. Experienced home inspectors realize this and pay extra attention to moisture issues and things that can increase moisture in houses. It is critical that all gutters and downspouts direct as much water as possible away from the home. With higher moisture content to start with it can take longer for lower spaces such as crawl space and basement to thoroughly dry out. It is also important that all crawl spaces be vented to the exterior or sealed to block out moisture. This is to help reduce the moisture levels in these spaces and to allow any water that has accumulated to dry out.. It is also important that any floor insulation in the crawl space be installed correctly with the vapor barrier up towards the heated interior of the home. If installed incorrectly moisture can accumulate in the insulation. This increases the chances of insects, wood rot and mold growth. When you select an Ohio home inspector be certain that you select one that is familiar with the special issues that can occur with such areas. Definitely hire a home inspector that has experience in such homes. Even if your mortgage company does not require a wood destroying insect inspection homes that likely have higher moisture issues should be inspected for such insects.